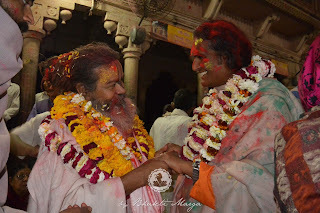 Bhakti Marga is excited to announce the continuation of the blog series, “Following the Master,” that documents the journeys of Sri Swami Vishwananda as he goes on pilgrimage to the world’s most sacred places. 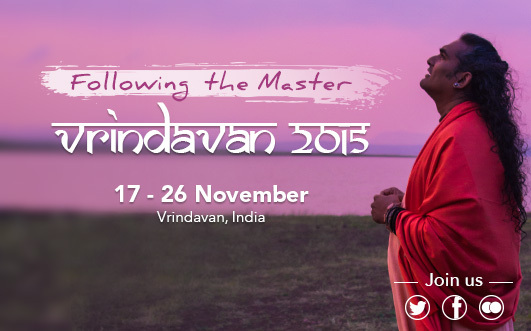 The second of these trips is to Vrindavan, India, and takes place from 17 November to 26 November, 2015. Vrindavan is an ancient city located in the upper part of India near Delhi, where Lord Krishna spent his childhood. The city is associated with many pastimes (leelas) of Lord Krishna, including the famous Ras Leela which he performed with the gopis. In the Vaishnava tradition, Krishna is considered an Avatar of the Lord and the eighth incarnation of Narayana. Millions of pilgrimages from all around the world flock to the city to pay homage to Krishna and to visit the holy places where his pastimes took place. Vrindavan is also believed to be the heart of the Bhakti Movement. 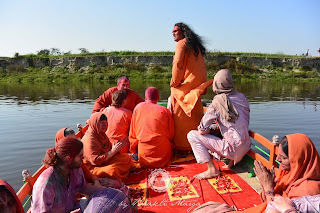 The Bhakti philosophy is based on viewing the Lord in a personal form and developing a unique relationship with the Lord through that form. 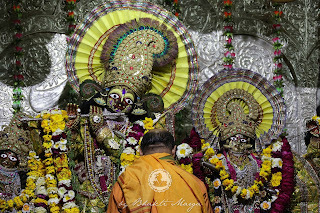 In Vrindavan, Krishna takes on many forms in the temples he is worshiped in, including the form of a lover, a child and a friend. During the next days we will describe many of the holy places around Vrindavan and talk in detail about the various legends associated with each place. 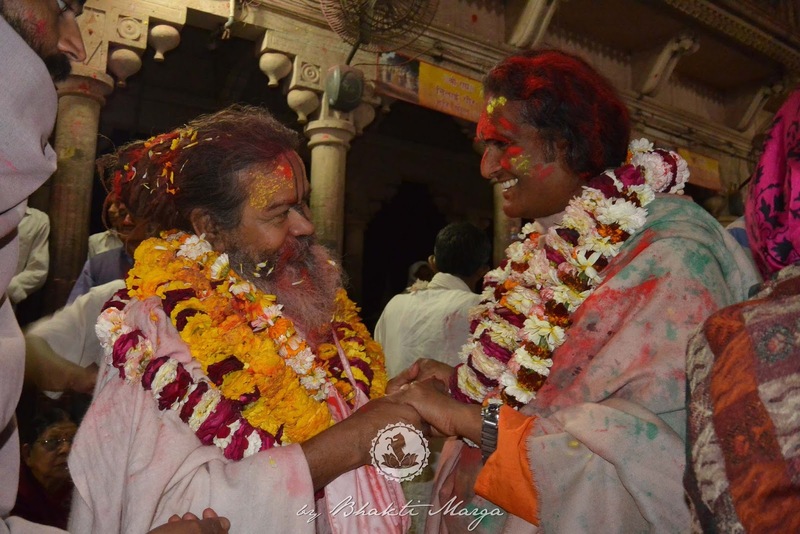 Don’t miss the opportunity to follow Sri Swami Vishwananda and the Bhakti Marga devotees as they journey into the heart of Bhakti in India. Follow along and stay updated with new posts each day.